This internal magnet speaker is designed with aluminum shell. Resistance : 16 Ohm. Type : Internal Magnetic, Slim;. Note: Light shooting and different displays may cause the color of the item in the picture a little different from the real thing. This internal magnet speaker is designed with aluminum shell. Resistance : 16 Ohm. Type : Internal Magnetic, Slim;. Resistance : 32 Ohm. Type : Internal Magnetic, Slim;. 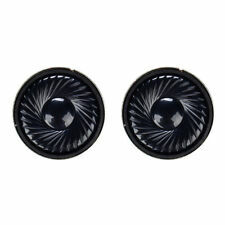 New listing2Pcs 36mm Diameter Aluminum Shell Internal Magnet Speaker 16 Ohm 0.25W a! 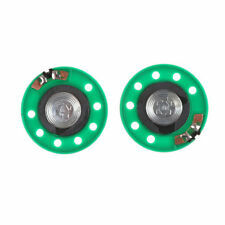 2Pcs 36mm Diameter Aluminum Shell Internal Magnet Speaker 32 Ohm 0.25W Nice A! This internal magnet speaker is designed with aluminum shell. Resistance : 16 Ohm. Type : Internal Magnetic, Slim;. Shape : Round Bottom. Power : 0.25W;. 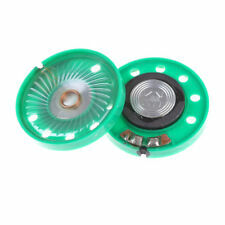 This internal magnet speaker is designed with aluminum shell. Resistance : 16 Ohm. Type : Internal Magnetic, Slim;. Shape : Round Bottom. Resistance : 16 Ohm. Type : Internal Magnetic, Slim;. Note: Light shooting and different displays may cause the color of the item in the picture a little different from the real thing. Shape : Round Bottom. Resistance : 32 Ohm. Type : Internal Magnetic, Slim;. Shape : Round Bottom.